The old brightly-lit JFG sign on 277 is coming down on Monday. 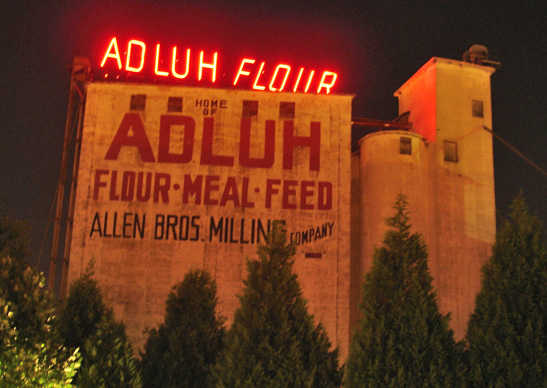 This has turned into a bit of a historic landmark, often part of a skyline photo. This kind of reminds me of the Citgo sign in Boston. Enough people raised enough hell there about it when it was scheduled to be removed, and it worked. It's still there today. I wish we could keep our JFG sign, but a normal, unmemorable sign for OrthoCarolina is going in its place. Too bad. I don't think that Charlotte has any ties to JFG (could be wrong), but I'm so used to seeing it there that it will be missed. So, the new sign is actually supposed to be lit up also, replacing the "JFG" with "ACL" as a tribute to the sign. Sorry, but I think that's just cheesy. Sad - I remember when it used to alternate lights between the letters. LOL @ ACL ..
Charlotte, the city that doesn't keep anything older than 20 years. I haz a sad over the JFG sign coming down.... it's location gave that stretch of the skyline a little kitsch appeal. It's the older mixed stuff that makes a city interesting. Only having brand new slick and modern does not make an interesting urban vibe. Wow what a stupid move on their part that sign is awesome. This is the best quote from the article. It sums up the situation nicely. Not surprised whatsoever. The sign isn't new, bright, and shiny enough. It's too quirky and funky for this corporate, buttoned-up town. That quote totally hits the nail on the head! Agreed! Tom's quote is right on the money. 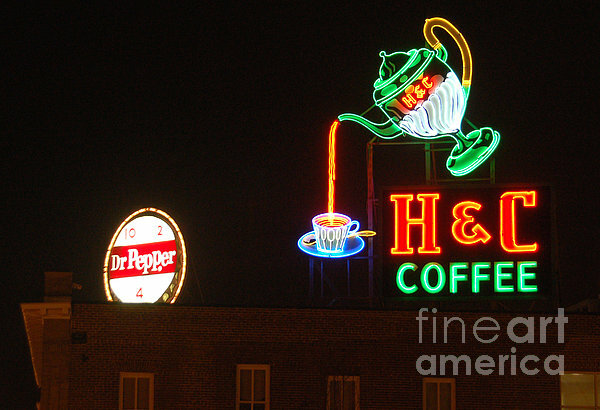 Meanwhile, Roanoke, Virginia's neon signs for Dr Pepper and H&C Coffee are so much a part of local culture that the art museum sells miniature replicas of them! J F G Coffee is out of Knoxville. It's name is the initials of the founder. They have an identical sign which I believe is still standing. The building which once housed the company has now been renovated into condos and it also has neon singage on the roof, all of which has been redone as part of the project. Charlotte can really let me down sometimes. The other is the JFG building in the Old City. So good news possibly in the Observer today. They wish to save the old sign and relocate it, possibly restoring it to it's former glory with flashing lights and everything. I think it would be great on the Brookshire which would be an awesome skyline shot. This weekend I finally so the sign that replaced it and it is absolutely awful. Bad color, bad layout, bad everything. I agree with you. I think it would look nice behind the Garrison Lofts near the Seaboard St. Ext. Maybe if the sign would be placed there it would hide the backside of the Garrison or at least direct attention away from the back since most hate the way the back looks. So, has the new "ACL" sign been put up yet? If so does anyone have any pictures of it? The new sign is up and has been for some time. Someone posted back on Nov 9 about the new sign. I drove by it on Saturday. It's just a billboard...nothing too noteworthy to me. But, it's not the JFG sign...so it would be a hard sign to like. Obviously, I overlooked the post about the new sign being already up. I agree with everyone that the JFG sign needs to be placed somewhere along the Brookshire. It would be a great shot with skyline behind it. The JFG sign is coming back...as reported by news 14 carolina. Light the sign at VBGB on Saturday.